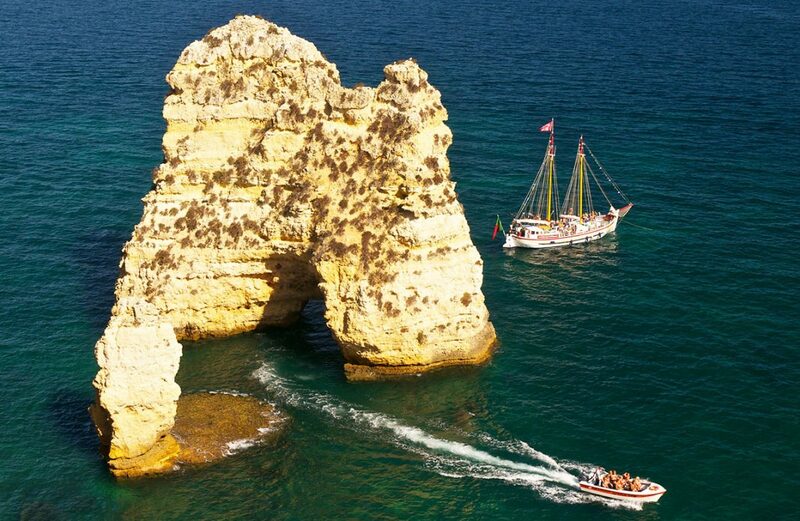 One of my favorite trips ever was to the Algarve, the southernmost region of continental Portugal, where the town of Lagos is located. I went between my junior and senior years in college, arriving by train from Italy with my friend Belinda. We stayed in a small hotel with a rooftop, where we sat at night and looked at the twinkling town lights. The people there were nice and helpful, and we left for the States with our backpacks laden with bottles of Port wine, to bring to our friends back at UPenn. I highly recommend a trip to Portugal as part of a European tour. The beach town of Lagos is a favorite place for general travelers and honeymooners alike. (The name is pronounced “lah-goosh.”) It is at once laid-back and hopping, with an active fishing trade and an active nightlife. In other words, it’s a place where you can enjoy a midday siesta, then pick up the pace again when the temperatures cool down. 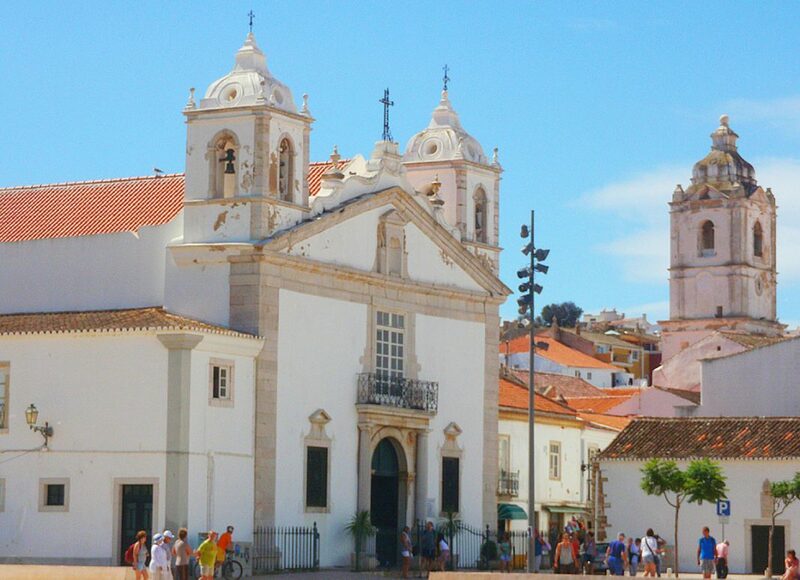 There’s a 16th-century walled old town where you can stroll along cobblestone lanes admiring the architecture and piazzas, plus a steep wooden staircase leading to the pretty cove of Praia do Camilo. Beyond all of this, the rest of the town is modern, and has an abundance of restaurants and nightclubs. In 2014, the Algarve was selected as “Europe’s best golf destination” by the International Association of Golf Tour Operators, thanks to the 40 apparently fantastic golf courses there (I don’t golf). On average 4-star hotels in Lagos cost around $260 per night; expect to pay more like $120 per night for a 3-star hotel. If you’re looking for a boutique hotel, expert travelers recommend staying in Casa Arte, as well as the Boutique Hotel Vivenda Miranda, a 4-star hotel overlooking the Atlantic that offers massages and an outdoor spa pool. The best time to go to Lagos is anytime, but expect a swell of crowds in summer months, when the population literally triples to about 1.5 million. 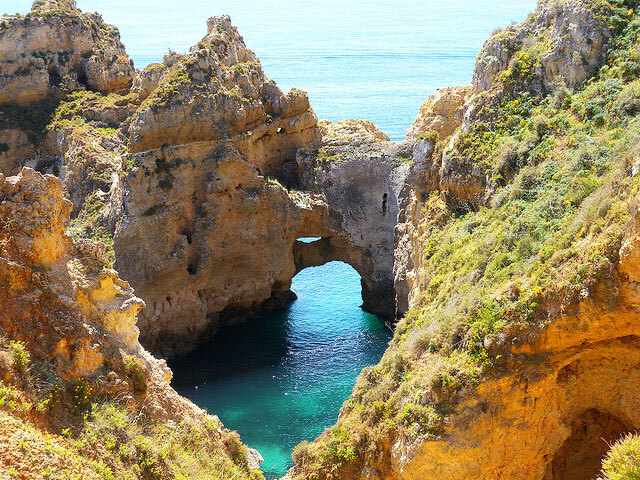 Have you been to Lagos, Portugal? Share any tips by leaving a comment below.